Success stories of companies and individuals using professional coaching continue to fill the news around the globe. If contemplating implementing a coaching programme, you will be pleased to know that a recent study commissioned by the International Coach Federation (ICF) shows high levels of satisfaction with the work being conducted by professional coaches, not only in Europe, but all over the world. Results of the 2009 ‘ICF Global Coaching Client Study’, conducted by PricewaterhouseCoopers and Association Resource Centre, show that professional coaching within companies is proving to have a solid, measurable impact on business solutions and success. A strong majority—78.5 percent— of coaching clients surveyed in the study from the European/Middle Eastern/African region (EMEA) report being “very satisfied” with their coaching experience. Globally, 99 percent of coaching clients surveyed were very or somewhat satisfied with their experience*. What does this high satisfaction rating mean? The high rating correlates with a significant return on investment (ROI) for companies and individuals who use coaching. Those from EMEA who invested in coaching within their organisations reported the median financial return to the company was 1,567 percent, or nearly 16 times their investment in coaching. These gains may have come directly from improved processes and skills being developed through coaching, increased efficiencies, talent retention or, more generally, through an improved corporate culture. In addition to the impressive ROI data, the Client Study provides valuable new information on client motivations for engaging in coaching, their coach selection process, and their assessment of the effectiveness of coaching and more. Findings support what coaches have known for some time; that employees of companies who integrate coaching can experience positive results in work performance, employee productivity, team building, product quality, employee retention and more. Last December, the ICF awarded Solaglas Windowcare of the United Kingdom and ibm.com of North America with the ICF International Prism Award for enhanced business achievement through their commitment to coaching as a leadership strategy. Using coaching, Solaglas, a leading glass replacement and installation company, has seen significant improvement in the areas of communication and collaboration; increased decision making and ownership amongst engineers; and the enhancement of new potential. These improvements have saved the company a total of £797,000 in performance improvement, subcontracting costs, materials costs, recruitment costs and employee sick absences. In addition, Solaglas has seen higher customer satisfaction, which has resulted in increased confidence from Solaglas clients and its standing in the industry. In all, Solaglas has experienced ROI of 490 percent. Company executives believe these gains are small compared to the long-term impact coaching will have. With return on investment—both financial and otherwise—now well documented, potential consumers of coaching can focus on the important task of selecting the right coaches for their organisations and building their internal coaching programmes. So, what are the most important qualities to look for when engaging a professional coach for your organisation? Years of experience, level of education, calibre of coaching clients the coach has worked with? Using the ‘Client Study’ as a guide, 89 percent of purchasers of coaching, from individuals to organisations, consider the coach’s level of coach-specific training to be “very” or “somewhat” important in choosing the right coach. Beyond coach training, demonstrated proficiency in the coaching process through certification is important to clients, according to the study. Seventy-seven percent of respondents consider a coaching credential or certification to be “very” or “somewhat” important when selecting a coach to work with. According to the 2007 ‘ICF Global Coaching Study’ conducted by PwC, the precursor study to the ‘Client Study’, 52 percent of coaches report their clients expect the coach they hire to be credentialed. Coaching is a self-regulated profession and some claim to be a coach without having the knowledge and specific training to demonstrate their commitment to professional coaching standards. Safeguards are in place, however, for those who want to be assured they are hiring a professional coach. The ICF offers the only globally recognised independent credential and an increasing number of coaches from around the world, over 6,000 currently, hold an ICF Credential. 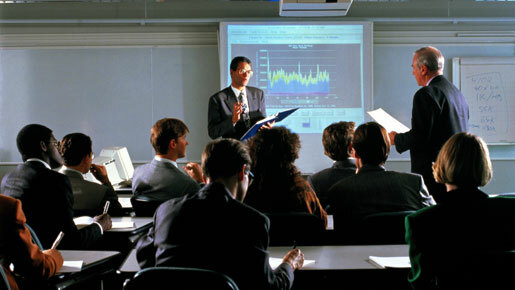 By earning an ICF Credential, a coach has: received professional training from a program specifically designed to teach coaching skills in alignment with the ICF Core Competencies and Code of Ethics; demonstrated a proficient understanding and use of the coaching competencies as outlined by the ICF and; is accountable to the ethics and standards set forth by the ICF. If considering hiring a coach, be diligent in asking the coach if he or she has been specifically trained in coaching skills and currently holds or is in the process of earning an ICF Credential. Don’t be misled to think a coach is competent in coaching because he or she has other professional credentials or sets high fees. For more information on professional coaching and tips for selecting a coach, visit Coachfederation.org/value. Are psychopaths good or bad for your business?